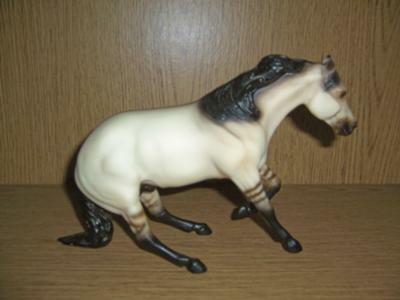 I have been collecting Breyer Horses for many years, mainly as a child. I purchased a Hollywood Gold grandson in 1988 as a weanling so when I saw some models from the family, I added it to my collection. 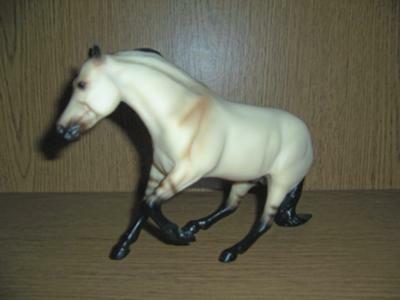 When I first posted this Breyer model, I forgot to mention that it is for sale. You may contact me through my email: sapgar@columbus.rr.com I am selling my complete Breyer collection due to being diagnosed with terminal cervical cancer and no one in the family is interested in them.